You know we’re all about supporting local, stylish businesses. Redfish Kids has been designing and manufacturing with love right here in Vancouver since 2004. We all want well-made and durable kids clothes that have a uniqueness to make them stand out a little. 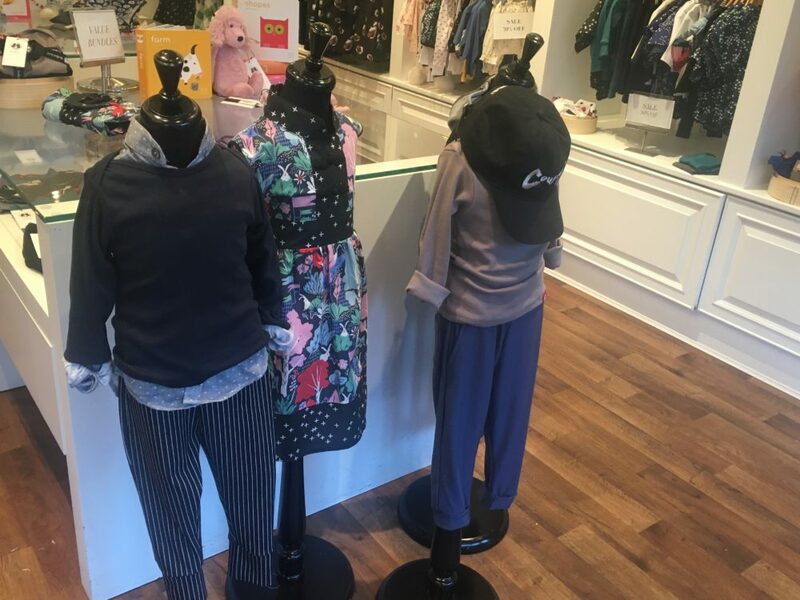 This is a company that pays attention to construction and artistry meaning the pieces are going to last long after your littles have outgrown them. We’re talking future heirloom. Uncommon patterns and colour combinations make Redfish Kids clothing memorable. Each piece has an unusual trim or out of the ordinary seaming or a stand-out shape. Playful prints, cute graphics, bold colours that are anything but boring. They have also curated books and toys help to cultivate a lifestyle we want our kids to embrace. 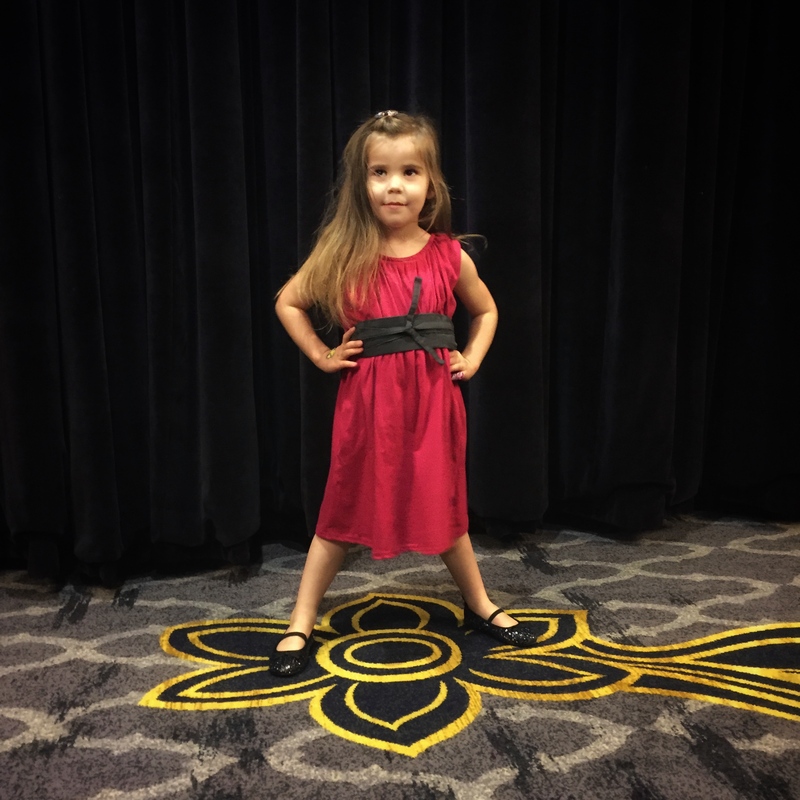 Dee recently interviewed the founder, designer and co-owner of Redfish Kids, Lorraine Kitsos. You can read about this upbeat, funky and fun woman, and why we’re not-so-secretly crushing on her here. Redfish Kids makes you feel like you are doing right by your child. 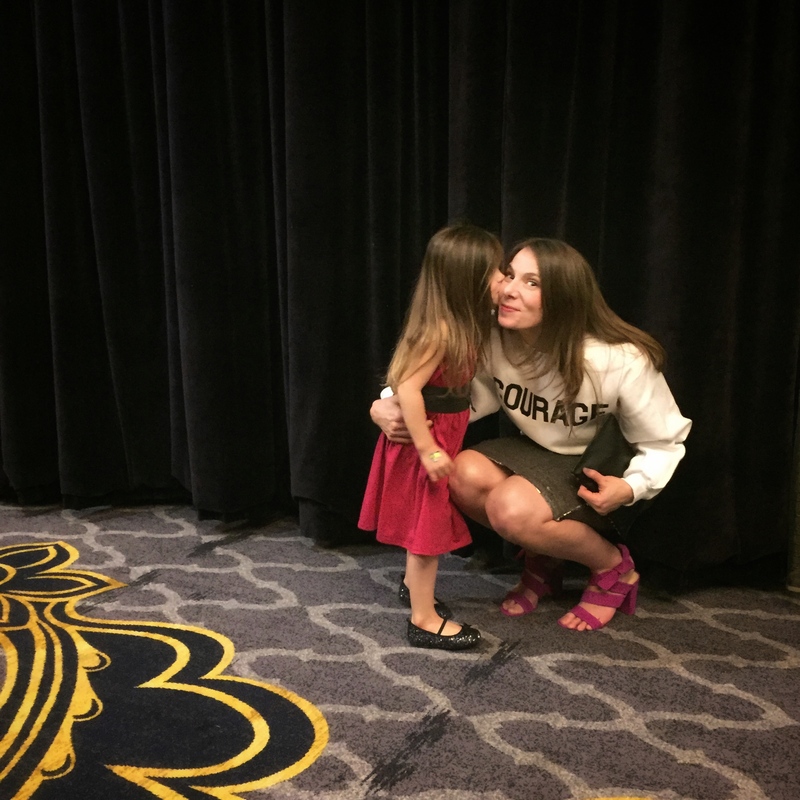 The heart-based company aims to nourish the inner strength and courage that all children inherently have. Specifically, courage is a dominant theme within the culture of Redfish Kids in everything from the way they design the clothes to the day-to-day operations of the organization. Redfish Kids is hosting a Vintage Sale and Lemonade Stand this weekend, Saturday, November 18th with 100% of the proceeds from this event going to Canuck Place Children’s Hospice. In collaboration with Glory Juice Company, Redfish Kids will be offering a selection of their vintage designs for sale. How often does something like this happen?!? It’s a testament to the quality and timeless appeal of the clothing. The Redfish team has collected a decade’s worth of vintage Redfish treasures for this epic sale. Check out the blog at redfishkids.com for more details of the event. Then show up, browse, shop, sip, buy, and support some exceptionally courageous kids. 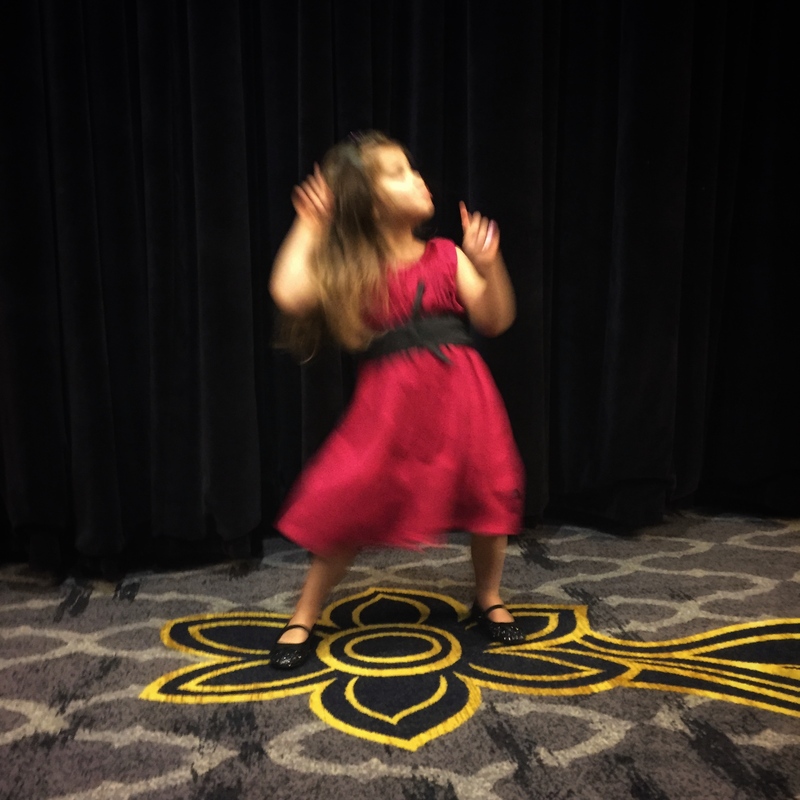 YOU try and ask a 3-year-old to stand still! This lovely pink dress has an attached cummerbund-style wrap belt setting it apart from just, you know, your average pink dress. The cotton jersey is thick, and the shape is well cut. It’s not going to pill. And does my kid love it? Let’s just say, it twirls. Plenty. 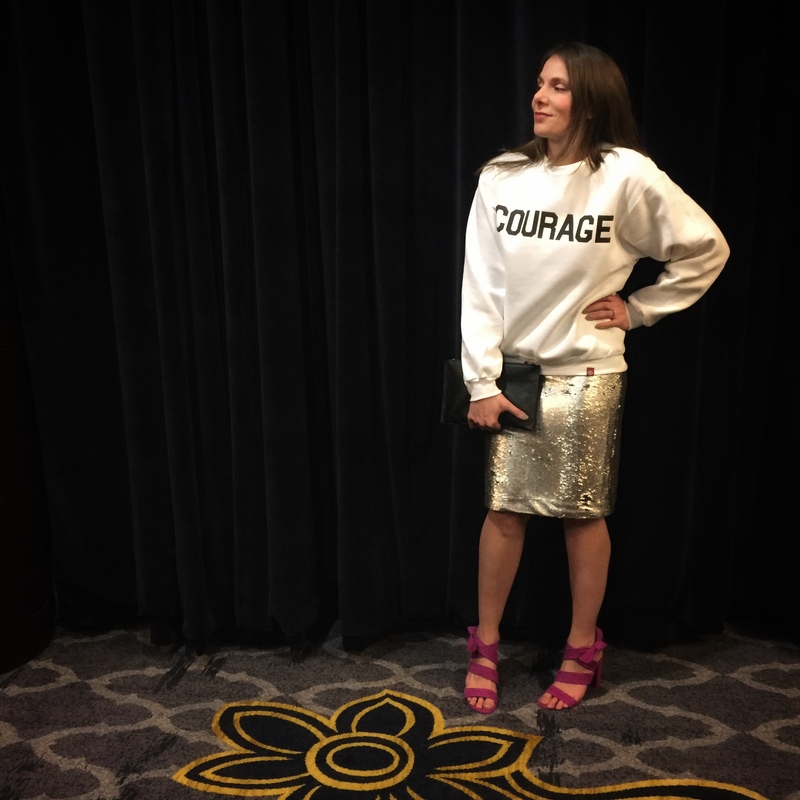 The thick, roomy sweatshirt makes a statement and honours an individual’s own courage. The shop carries T-shirts and sweatshirts, from kid to adult size, emblazoned with various messages encouraging us to be good humans and to live our best lives. Now, this is something I can put on and get behind. 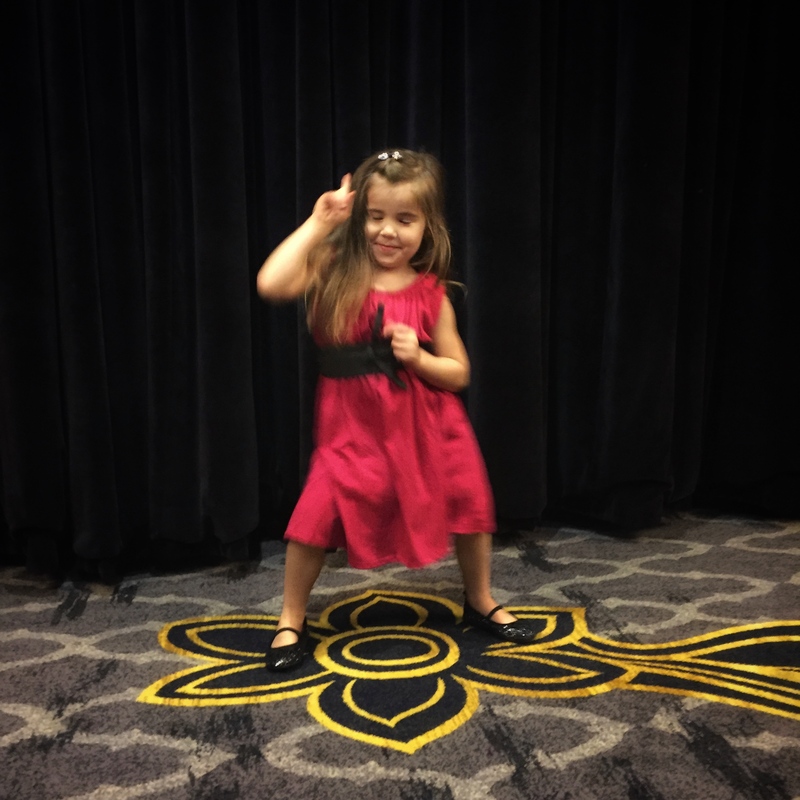 *I received my daughter’s beautiful Redfish Kids dress in exchange for the shoutout, but all opinions expressed are my own.